Between the political unrest and unsettling terrorist attacks that have occurred in Paris, Brussels, Turkey, and elsewhere in the world, many would-be travelers have found themselves torn: should they follow their dreams of traveling and seeing the world, or stay home in attempt to stay safe from another attack? It's certainly disturbing--and heartbreaking--to hear the stories of loss and suffering that go hand in hand with acts of terrorism. As global citizens, it's hard not to feel personally affected by these types of attacks, even when they're occurring far from home, on foreign soil. For many, it's equally as difficult to avoid falling victim to the cycle of fear that is created when terrorism strikes. In fact, creating fear is the primary goal of most terrorist organizations--hence the name. That said, it's natural to experience feelings of sadness and fear when we hear about these events. But is it right to let these terrorists and criminals make our decisions for us? To let them determine if we live the life of our dreams or not? Perhaps even more importantly, is it right to let them keep us from becoming more worldly, open-minded, empathetic citizens? Travel opens our eyes to new ways of living. It teaches us tolerance for people who enjoy different lifestyles, foods, religions, and cultures than our own. It forces us to become more understanding, caring, thoughtful, and open. 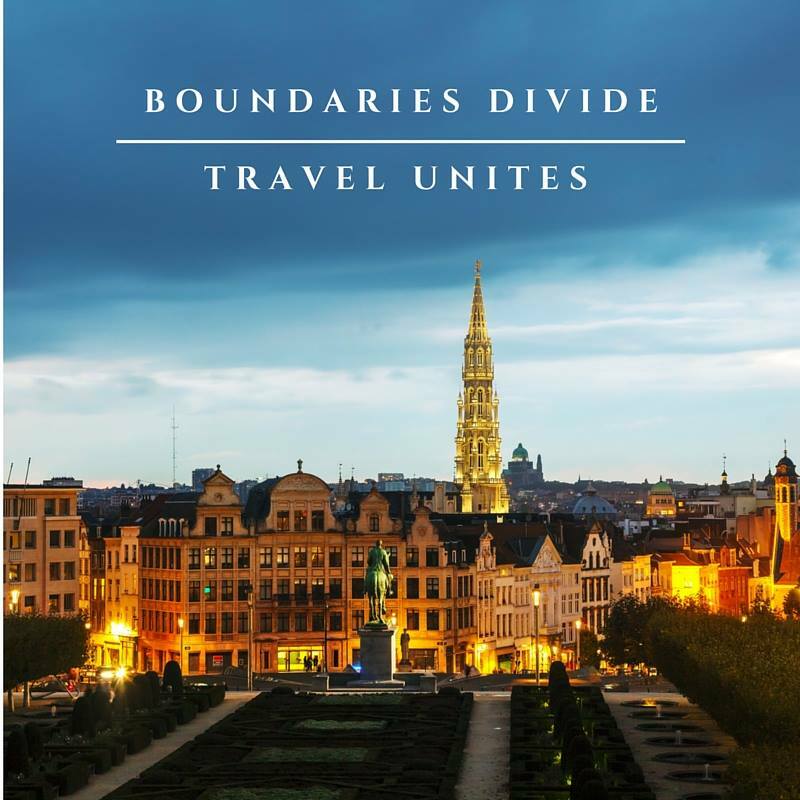 As people travel more and more frequently, boundaries are knocked down and bonds are formed. Additionally, that innate fear of "otherness" is diminished little by little, as we slowly learn that the world is not as dangerous as some would like us to believe. 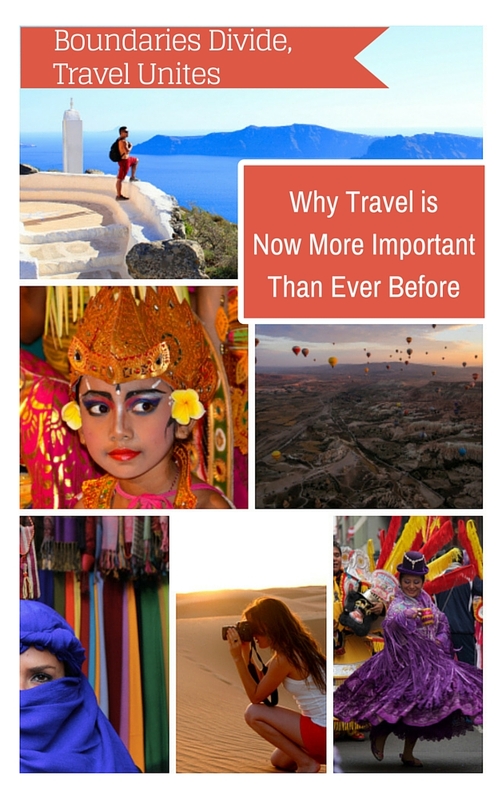 Essentially, travel creates an effect that is the polar opposite of terrorism. Travel weakens fear and strengthens compassion; terrorism does the opposite. Consider this: the entire world was heartbroken when Paris was attacked, and again when Brussels was attacked. But why did so many people from around the globe care so deeply about these cities? Travel. 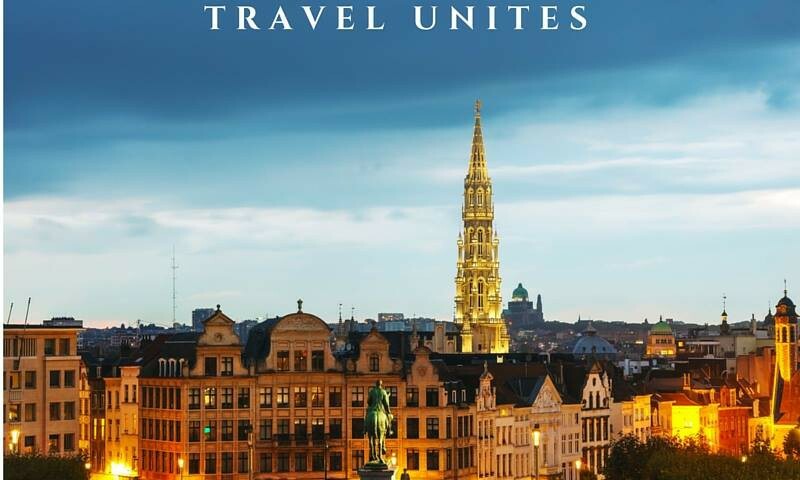 Travel unites us and makes the world feel smaller, so even though these attacks were far from home, it didn't feel that way. Right at this very moment, life in Brussels is business as usual. Hotels, shops and restaurants are open, people are back at work, children are at school, and people are moving forward with their lives. In fact, if someone were planted into the middle of Brussels right now with no knowledge of last month's attacks, it's highly unlikely that they'd ever suspect anything tragic had happened in Brussels in recent memory. From afar, it can be easy to imagine the worst. But once you're actually abroad and living in the moment, taking notice of how normal life feels, the fear shrinks away on its own. That's because oftentimes, it's not actually the risk itself that's unsettling (because logically, we all know how small it is), but the aspect of uncertainty surrounding it. Travel is the most effective solution for alleviating this uncertainty. The fact of the matter is this: as tragic as these attacks certainly are, they are not a sign that the world is an inherently dangerous place. Yes, there are bad people out there who want to make it look that way; but bad people exist everywhere, including right here at home. Terrorism is particularly frightening because it's out of our control, it's unpredictable, and it's highly publicized. But it's not an accurate representation of the world we live in. As for us? We have no plans to stop traveling--now, or anytime in the future. We will continue to break down boundaries, learn about other cultures, and refuse to let fear hold us back from our dreams. How about you?